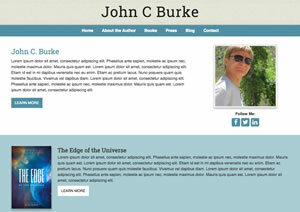 Pub Site is specifically designed for books and authors. Pub site was developed by the designers and marketing people from FSB Associates, the premier online marketing firm, promoting books and authors online for over twenty years. We have developed over 200 author websites for such authors as Sue Grafton, Jonathan Kellerman, Gail Godwin, Tom Clancy, Clive Cussler, and many more. You can add and edit books using MS Word-like forms, including title, subtitle, description, ISBN, bookseller links, social media links and more. Easily add book covers and photos, and even video. Anyone can do it! 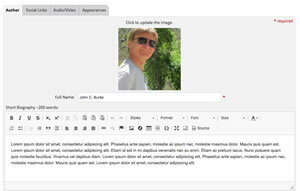 Enter and edit your bio, easily add a photo, video, and appearances. Create a new page for interviews, press coverage, or other author information. Just start writing into MS Word-like forms. It's as easy as that! 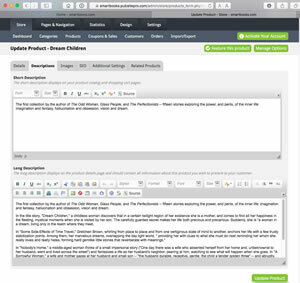 An excerpt page with the first paragraph will be created automatically with a link to a separate page for each blog. You can also have your recents posts listed in the side column. 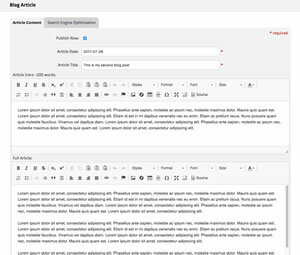 And coming very soon: import your WordPress blog posts into Pub Site!